The article explains all the aspects of a mobile website. This article describes how to develop a reverse proxy in C# using the IIS HTTPHandlers. A new implementation of the Custom Profile Provider for ASP.NET 3.5, using LINQ, Workflow Foundation, and the Responsibility-Centric-Singleton DataContexts pattern. A tutorial on how to compile web pages to DLLs using the Express edition of Visual Web Develper 2008. Understand MVP, execute a sample project with MVP, and implement the same using a Windows UI. This article shows an easy way to create a guestbook using ASP.NET and XML serialization. Customer Support chat solution build using ASP.NET(2.0) with C# and XML as a database. How to dynamically load images in Crystal Reports in ASP.NET, using the TypedDataSet. How to enable Gzip compression in IIS6.0 for ASP.NET 2.0 websites. I have created a ComboBox control that mimics the functionality of Google suggest. As you type a search phrase, it automatically displays a list of matching entries in a dropdown. Reusable navigation and workflow for Windows and Web using Microsoft UIP blocks. A solution to handle session variable problems between classic ASP and ASP.NET web applications. This article tells you how to save data from a DataSet into T-SQL tables. Sometimes you need to use a DropDownList in a GridView in a way to see the text of the field and save the value to the database. Here we extended the “BoundField” class, and add features to create a column type of “DropDownList”. A class for unit testing ASP.NET data caching when using SQL Server. This article is from a public bug list of W3C, describing errors in XHTML 1.1 validation of ASP.NET pages. Here we can use GridView control to display images in a gallery view with internal paging. Many time we face problem in SQL Query when performing operation with IN clause to check values seperated by ,(commas) in a parameter. How we can use interfaces and the Factory pattern to create a truly decoupled architectural framework. Communation between two machines using MSMQ. In this article I’ll explain a solution to secure web applications using custom membership and role providers with the Enterprise Library Security Application Block and code access security. Simple use of an interface to pass parameters from a Master page to User Controls. This article describes how to avoid multiple space elimination in ASP.NET Gridview Control. Les Cardwell demonstrates how to build a double-entry accounting application using the latest code generation technology, Iron Speed Designer. Create a full AJAX-ed Web site very easily. It is so simple! Life make easy to create data driven websites. it is a very good control in AJAX to make rounded type shape. We can create rounded shape in many shape by using Corners property of this control. Learn how to integrate a help system into any Iron Speed Designer generated application. +7 years of experience in designing and implementing Microsoft Based Solutions. +5 years of experience in SharePoint implementations from MCMS 2002 to the latest version. +3 years of experience as presales and technology advisory. Strong analytic, design and client facing skills. Strong record in team leading and projects supervision. Working as a Sr. software developer with 4 years of Experience in Software development. I am a trained civil engineer in computer science. After a few years as project manager of multimedia applications, I set up my IT company for almost 10 years. We created a CMS, software and websites for companies and public administrations. We received the award for “best company” for this job. So, I obtained skills in several areas, and expertise in architecture, development and methodologies (MSF, Oracle, SQL Server, .NET). I also have several years of experience in training for architecture and design software, database administration and network architecture of Windows. 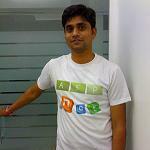 Mahesh has worked on Asp.net and mobile technologies for last 4.6 years. He has worked with mobile WAP site for more than a year. Born in 1969. First prorgram made in commodore 64 on early 80s (storing it in regular audio cassettes). Then fortran in a PDP in middle 80s. First serious program at the age of 18th in GWBASIC in late 80s. So, almost 20 years programming. From 2003 to 2006 engaged into a development outsourced by an international company. They couldn't make it. Hired 2 years ago by one of our COOs to be in charge of the development, so I have control on what is developed and most importantly, how. Of course, the "what" is strongly influenced by what the users need. I think we can make great things with C Sharp, I am applying all my knowledge and experience in programming for the over 20 years (including experience in implementing business systems) to the C# and .NET Techonology. I don't think we need to complicate our lives very much, we can program in a smarter way and just take advantage of what this language offers without reinventing the wheel. I don't like Visual Studio, by the way. I prefer to code by hand or using simpler IDEs... antiquated? Maybe, but still think it is better. You have the *control* in your hands. And actually, rather than "by hand", I simply mean creation of complex dynamic objects that would resolve UI characteritics dynamically (i.e., a repository of UI objects in the database or via XML or similar; and a big unique object capable to resolve such objects), instead of "dragging and dropping" objects creating a huge source code base. Visual Studio is still for "programmers" (quoted). Mikael Sundfors is a software developer living in Pietarsaari, Finland. He has been working with software development in .NET and in embedded Linux systems for over a decade. He is also a member of the Finnish Microsoft .NET Architect Council. Najmul Hoda is a Master of Computer Application. 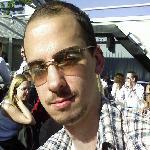 He has worked with .Net technologies in web development and has been programming since 2007. Besides programming he loves playing mouth organ, guitar, listening to music,singing, bike riding & cricket. Preetam shows great interests in working with Microsoft .net technologies. He is Microsoft Certified Technology Specialist. His area of expertise includes: C#, ASP.NET,ADO.NET,Web Forms & Web Services. He is Master's in Computer Application. Competition is as important as Cooperation. CEO DatumSquare IT Services Pvt. Ltd.
A computer science graduate with senior-level programming skills, Raheel Afzal has developed a number of management information systems and real estate portals. Through his work with other companies, Raheel was highly exposed to client relations, as well as American business models and operations. Raheel started DatumSquare IT Services in 2009, facilitating daily operational management. His previous career experience and administration expertise have given him the insight and strategic planning skills to successfully transform a two-employee company into a thriving business with more than 60 highly skilled employees on staff. Raheel presently resides in Rawalpindi, Pakistan, with his wife and two children. In his spare time he loves to read historical books and keep up with the latest worldly technological advancements. Sandeep has 9+ yrs of IT experience. He is Microsoft Certified Technology Specialist and has been certified for Analyzing Requirements and Defining Microsoft .NET Solution Architectures. I am a Software Engineer base in a Manufacturing Company. The only language I hate is *Basic! I'm a graduate in Computer Science. I work with C++, Visual Basic 6, C#, asp, asp.Net, Windows Forms, SQL Server, Access, Flash. I also like writing songs and playing around with my band Diversamente Rossi. This is the video of the song Vivo così from the album L'immobile disegno (The immobile drawing).